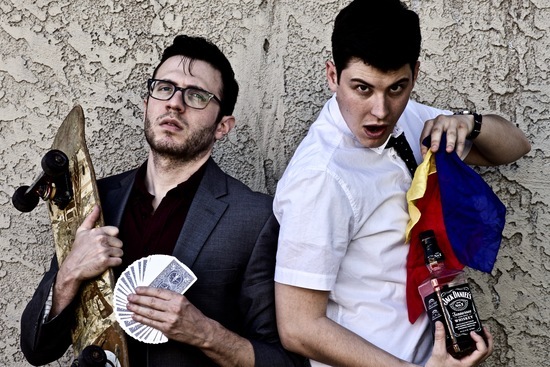 Eric Siegel and Daniel Donohue are The New Bad Boys of Magic, making its world premiere at Hollywood Fringe 2017. Dan (Daniel Donohue) and Eric (Eric Siegel) are former teenage magic prodigies who, at the height of their fame, even had a show on the Vegas strip. Bitter rivalry caused their friendship to crumble, and now Dan is reduced to performing tricks for kids’ birthday parties while Eric has become a homeless drunk. As the show opens, Dan is performing one of his kiddie shows when Eric literally staggers onto the scene, challenging his former friend to a duel. Dan reluctantly accepts, and the two battle it out, performing a series of impressive and increasingly complex sleight-of-hand moves while rehashing the bitter fragments of their ruined relationship. But as they’re performing together once more, they begin to realize how much they need each other. It’s a great concept, and Donohue and Siegel have both the comic and magical chops to pull it off. The New Bad Boys of Magic plays June 17 at 3:30 p.m. and June 24 at 9:00 p.m. at the Flight Theatre at the Complex, 6472 Santa Monica Blvd. Tickets can be obtained on the Fringe site, and it’s recommended that you grab yours before they disappear. 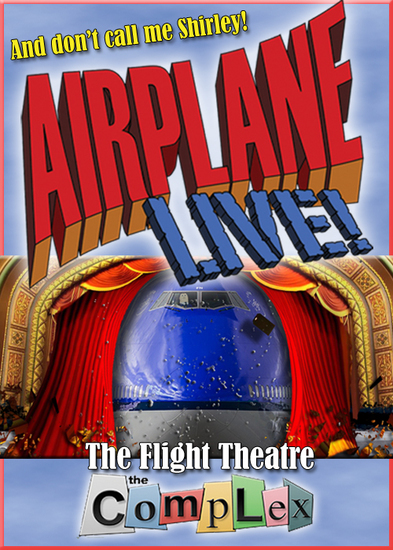 The Zucker Brothers’ classic is reimagined for the stage in Airplane Live!, an entertaining production that preserves the spirit of the film while making some modifications to bring it into the 21st century. Some of the comedy is more topical, and the jive-talking “brothers” of the original have been replaced by millennial sisters (Stepy Kamel and Genevieve Smith) who speak in incomprehensible shorthand while taking duck-faced selfies. These new characters fit well into the milieu, and it’s especially hilarious when the girls get stuck in a vocal fry that won’t stop. The show’s sole African American character is Samuel (Steven West), a tough-talking action hero type who sweeps another passenger off her feet and steps up to volunteer when the trouble starts. The cast of Airplane Live! fulfills the familiar roles well. Pantelis Kodogiannis and Chrisi Talyn Saje bring the appropriate dizziness to the star-crossed lovers Ted and Elaine. West is a riot as Samuel, and James Blanchard also amuses as Captain Ouevre, beaming happily as he quizzes his young visitor on various aspects of homoerotica. Other comic standouts are Ian Stanley as the stoic Dr. Rumack (“Don’t call me Shirley”), Michael Davanzo as the flighty Johnny, and Bert Emmett as the glue-sniffing McCroskey. Samantha Clay gleefully tackles a dual role as the buxom Mrs. Hammen and the aptly-named Mrs. Elderly, who serves as the interpreter for the millennialspeak. Airplane Live! 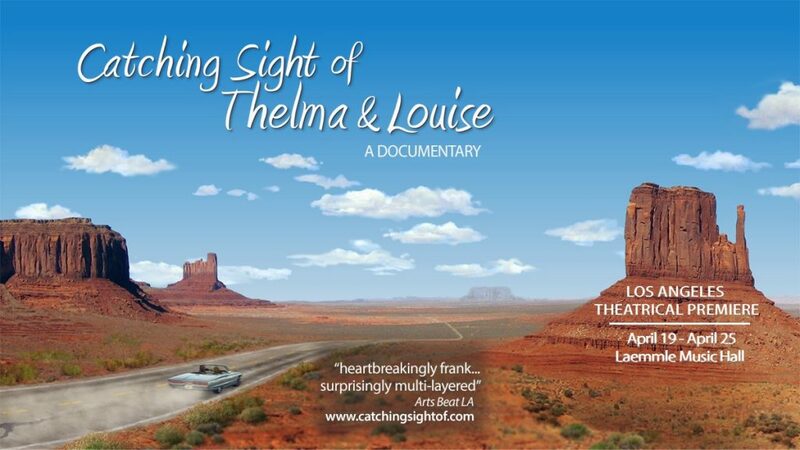 plays June 17, 18 and 22 at various times at the Flight Theatre at the Complex, 6472 Santa Monica Blvd. Tickets and more information can be obtained on the Fringe site.